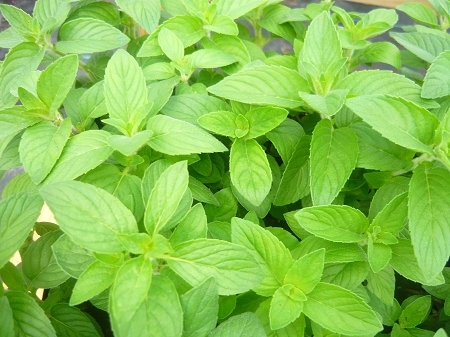 Hillary's Sweet Lemon Mint (mentha 'Hillary's Sweet Lemon)- Westerfield hybrid mint developed from apple mint and lime mint. Soft green leaves have an apple-citrus scent and flavor. Pretty spikes of lavender flowers when in bloom. Interesting variety for tea and culinary use. Plant was named after First Lady Hillary Clinton. Perennial zones 6-11. Live plant in 3 inch container.